The round cushion is made of durable and stain-resistant linen. High quality pearl cotton filling is long lasting seating. 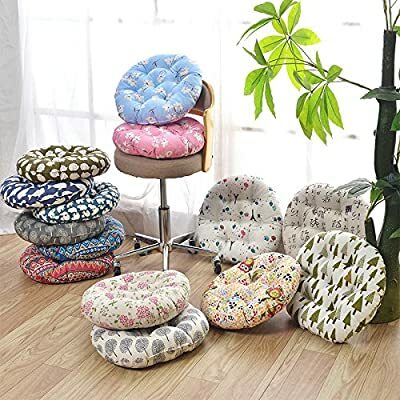 The diameter of this cushion is 40cm, it is good for round chair, barstool, bean bag chair, piano or guita practice chairs.